Nothing suggests refined elegance like the combination of sumptuous snowy roses against the deep richness of winter foliage, and this is perfectly displayed in our stunning white rose and rosemary bouquet. 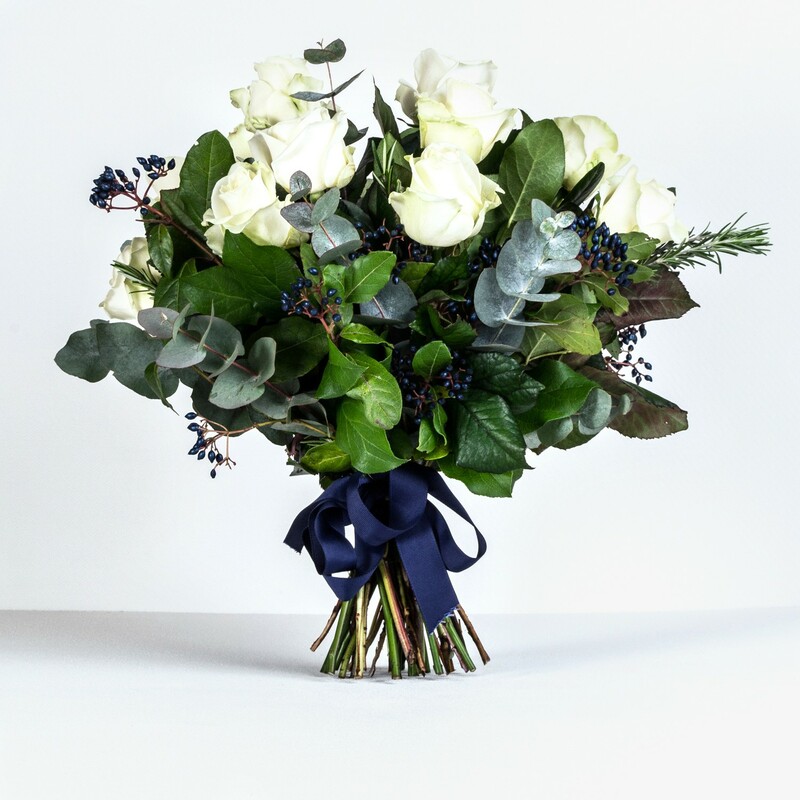 The luxurious opulence of snowy Avalanche roses are allowed to shine, offset with utmost glamour against silvery eucalyptus and sprigs of rosemary, all hand-tied with a midnight blue ribbon. Small sprays of navy buds provide a flash of regal colour that adds to the overall refinement. This classic bouquet epitomises true style, and is a favourite for those wanting a tasteful arrangement.